Adapting a Product or Service to a Specific Geographical Location. Our tailored API-based translation workflow facilitates automated identification of new and updated web content, its export for translation and the import of the translated content directly into the website without any further intervention. Specific services for management information design, integration of translated web content into existing websites, and changes to existing work flows or report metrics are delivered by our in-house team. 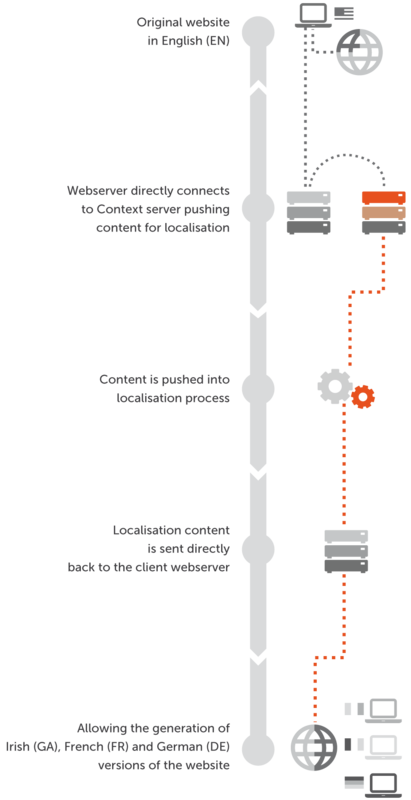 Easy integration of your Content Management System with our translation workflow safeguards a reliable, robust and efficient bi-lingual or multi-lingual publishing process in a controlled environment for time and mission critical language content. Original website is in English (EN) and is put through the localisation process which results in the output of Irish (GA), French (FR) and German (DE) versions of the website. 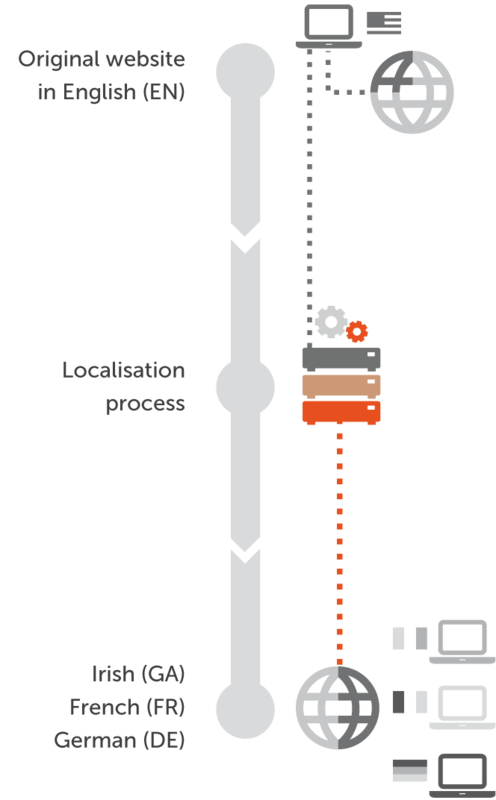 The software workflow is similar, but the software interface instead of web content is localised. Additional engineering and test processes. CONTEXT 2018 © All rights reserved.